From the dawn of the dotcom era, overly optimistic ecommerce firms underestimated returns - often 10% or more in traditional retail - leading to the demise of many early entrants into the market. As merchants attempt to reinvent retail, they are discovering that the convergence of online and physical sales can enhance both approaches: to the customer, it's all one entity. Convenience continues to be a primary driver of success so those who offer the most holistic solution have a competitive advantage. The tension adds to a growing list of troubles for retail property owners as the rise of internet shopping erodes brick-and-mortar revenues. Landlords are dropping big sums to reconfigure their shopping centers with attractions customers can’t enjoy online, such as restaurants and gyms. Remaking the mall can mean adding small, local merchants and relatively unknown retailers to the mix as large chains cut back on space, exacerbating the issue of online returns, according to Burt Flickinger, managing director of Strategic Resource Group LLC, a retail-advisory firm. Big, well-known companies, especially publicly traded ones, are likelier to hew to established guidelines when they report sales figures, he said. “As the big chain tenants close, they’re replaced more often with newer, more entrepreneurial independent owner-operators, who can be more casual in terms of responsibly reporting,” Flickinger said. 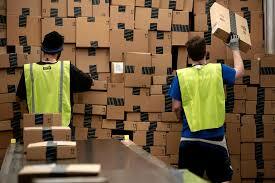 And as merchants build out their online operations, returns will pile up and become an even more pressing issue. Online sales will represent 24 percent of total retail sales by 2027, up from 8.9 percent last year, according to estimates in an investment-banking client presentation by RBC Capital Markets LLC obtained by Bloomberg. Managing returns is a critical issue for both landlords and retailers, and e-commerce has only made it more complicated. Anybody who has bought a pair of shoes or a sweater online can attest that shoppers are far more likely to take back apparel they bought on the internet than picked out in person at a store. The rate of returns for online purchases is estimated to be as much as four times the rate for physical-store sales, according to David Sobie, CEO of Happy Returns Inc., which operates in malls and other shopping venues, taking online returns from consumers for retailers that don’t have a lot of physical stores. Bad for both store and landlord, right? Not necessarily. When it comes time to seek a refund, people prefer to get it in person instead of printing up a label, making a trip to the post office and waiting weeks for the cash to show up in their bank accounts, Sobie said. That typically works in the landlord’s favor, since anything that triggers a trip to the mall can drive additional purchases. 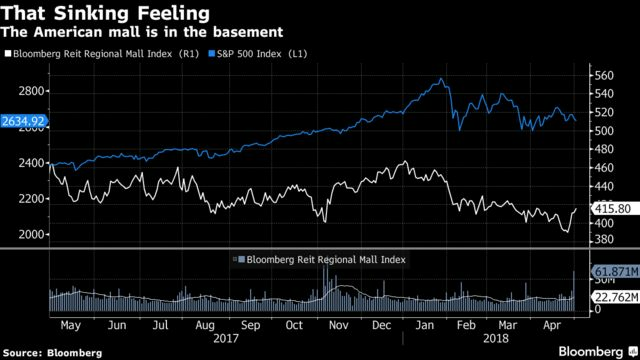 It’s hard to parse how the various parties to an internet sale and subsequent return are affected, said Daniel Hurwitz, CEO of retail real-estate consultant Raider Hill Advisors and the lead director of GGP Inc., the second-largest U.S. mall owner. For example, if a consumer trades in an item for one of a different size or color, the inventory at that location is reduced even though no money has changed hands at the cash register, Hurwitz said.